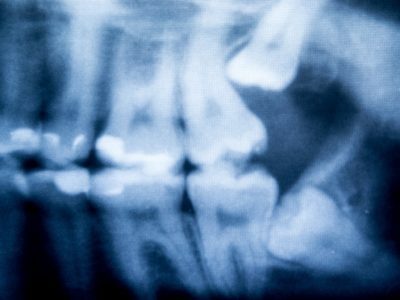 What Is Dental Implantation, And How Can It Help? General dentistry encompasses several facets of dental hygiene and health, and dental implantation is one of them. Dansville Dental Professionals specializes in implantation, but we also like to give our patients the information and education they need to understand our procedures. We’ve found that such details are key to keeping patients calm while they’re in our care and showing them we’re wholly dedicated to their peace of mind. Dental implants are metal frames or posts that are surgically introduced to the jawbone along the gumline. The posts are just the first step in this procedure. Afterward, replacement teeth can be installed in your mouth to restore the appearance and overall functionality of your teeth, your smile, and your confidence. How Can Dental Implantation Help? The main goal of dental implantation is to improve your oral health and boost your confidence. With missing teeth, your jawbone can start to weaken, which can actually change the appearance of your face due to atrophy. To prevent this from happening, you need replacement teeth. Once your implants are in, you’ll be able to eat, smile, and brush your teeth comfortably. A variety of patients can benefit from dental implantation. If you’re missing several teeth, or even one single tooth, you could be a prime candidate for implants. Anyone who’s been injured in the mouth, has a tooth defect, or suffers from tooth disease or decay can benefit. Implants are commonly used for adolescents whose jaws stop growing after puberty. In any case, we’d love to sit down with you during a consultation and discuss your options to decide whether you truly need implants or if there’s another option to consider. Your damaged tooth is removed (if necessary). Bone grafting might be needed to prepare your jawbone for the new implants. Once your jawbone has recovered, you’ll receive your implant metal posts. You’ll complete the healing process, which might take a number of months. Your surgeon will install your abutment, which is the implant post extension. A mold will be made of your jawbone and teeth after your mouth’s soft tissue recovers. Interested in learning more about dental implants? Complete a Dansville Dental Professionals contact form, or give us a call at 866.335.2201 and we’d be happy to answer any questions.